The Raspberry Pi isn't the only finger-sized, snack-flavored computer in town. Heck, it's not even the only one to arrive this week. We're not sure if it's pure coincidence or an attempt to piggyback on the Raspberry Pi's popularity, but FXI Technologies has opened preorders for its "Cotton Candy" system, which occupies about the same space as a USB drive and contains a full-fledged ARM-based computer. The stick packs a 1.2GHz dual-core ARM Cortex A9 processor with a 1GHz quad-core ARM Mali-400 GPU, 1GB of DRAM, and support for up to 64GB of storage with a microSD card slot. 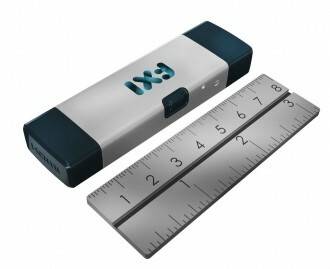 Connectivity includes 802.11b/g/n Wi-Fi, Bluetooth 2.1+EDR, HDMI 3.1 with audio, and USB 2.0 (male). The machine comes preloaded with your choice of Android 2.3 Gingerbread, 4.0 Ice Cream Sandwich, or Ubuntu. Although many users express interest in a pocket-sized USB computer, some folks aren't entirely sure what to do with one, so FXI offers a handful of usage scenarios for the Cotton Candy. The device can boost the IQ of your HDMI/USB-equipped display, set-top box or console, granting easy access to an app-rich environment. It can also serve as a private environment when using someone else's PC. Like the Raspberry Pi, FXI's system can handle up to 1080p video along with standard media formats, making it a viable HTPC. However, whereas the Raspberry Pi is aimed at DIYers, the Cotton Candy is meant to be a polished commercial product, and FXI is charging as such. Preorders are currently set at $199 (the Raspberry Pi is $25 to $35, depending on the model) and orders will ship in March.